The rainy season in Peru is from October to April, with January and February usually being the worst months. Most reports will say the rain tappers off in March. We visited mid-March. I personally think the best bet is to spend multiple nights in the Sacred Valley or in Aguas Calientes. However when it comes to rainy season there are a few extra reasons why you should. Due to frequent landslides there’s a good chance you will be delayed if you take the train (which is what we did). Our train was delayed by TWO hours on the morning we arrived to Aguas Calientes! Multiple people around us on the train had bought tickets to and from Machu Picchu on the same day and were so stressed out because they were only going to have an hour or two at Machu Picchu before they had to be back to the train station. By spending extra time in the valley you can make sure you’ll get to Machu Picchu on time. My recommendation would be to take the train in the day before you plan to see Machu Picchu, spend an entire day exploring the area, then take the train out the next day (or spend even more time!). We personally did not do the trek into Machu Picchu after researching other’s experiences during the rainy season. During rainy season you can find trails obstructed from landslides, passes blocked by lingering snow and nonstop rain which is never fun. 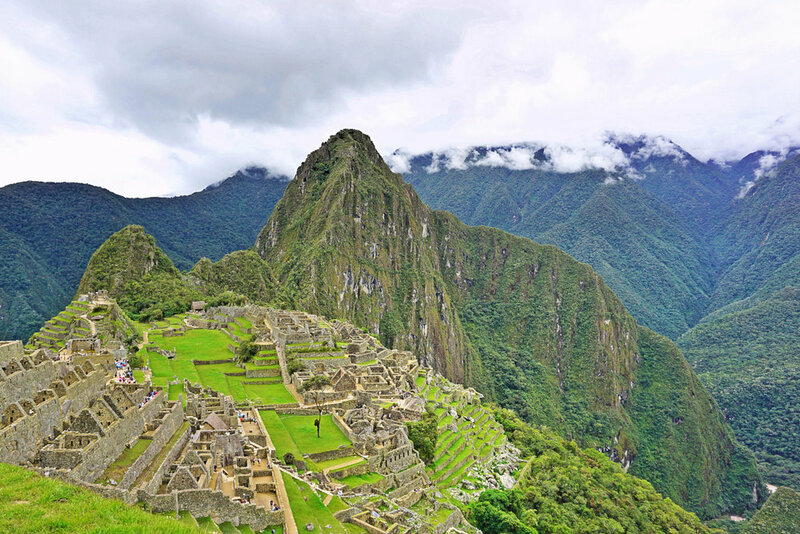 Additionally, the Inca Trail is closed for the entire month of February for restoration. If you are dying to do the trek in to Machu Picchu (I hope we get to one day!) then definitely wait until the dry season. Find more info for trekking to Machu Picchu here. Like I mentioned above, January and February are the two worst months in terms of rainfall. For a lot of people, visiting Machu Picchu is a once in a life time experience so you really don’t want to be rained on the entire time. If you do visit in January of February I recommend buying tickets for two days in a row in case on day is totally rained in and you can’t see anything. The day we visited Machu Picchu they were nowhere near capacity and while there definitely were a lot of people there, towards the end of the afternoon we had a lot of time to ourselves, and silence, while roaming the sacred grounds. Because of all the rain the entire region is a lush, deep green and it is absolutely beautiful! Pair that with vibrant botanical flowers blooming and rushing rivers and the landscape is to die for. The rainy season in Peru is technically the summer so the temperatures are warmer. This also means that it is more humid. We purchased our tickets for the train, Machu Picchu and our beautiful hotel only a month before we departed. I doubt we would have been able to do this during the dry season because tickets sell out so fast! Additionally our train tickets and flights were cheaper than in the dry season months.